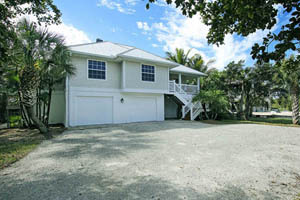 Sanibel Island Real Estate, Captiva Island Real Estate - A great listing in Butterknife Community on Sanibel! A great listing in Butterknife Community on Sanibel! A stunning Sanibel Island home! Located at 2311 Starfish Lane on Sanibel, this listing has everything to make your life on Sanibel Island very rewarding! 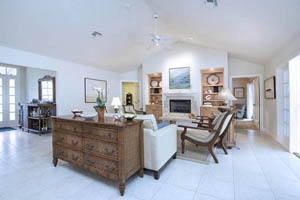 This home is central to the best Sanibel shopping, restaurants, and our island beaches. This outstanding home is located in the sought after Butterknife Community, just off West Gulf Drive. This home includes a private, separate guest suite, which is across the lanai overlooking the pool. The guest suite has an additional bedroom with morning kitchen and private bathroom. The primary part of the house features an open, tiled living room/dining room with a granite countered kitchen. The large primary bedroom has an oversized walk-in closet and french doors opening to the lanai. 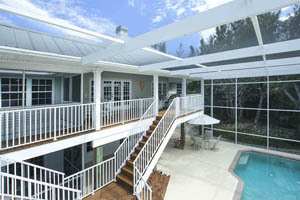 The large lanai overlooks the beautiful heated pool. Two additional bedrooms and bath are part of the main house. This property is private and convenient with an enclosed two car garage and also offers a great deal of additional storage. This home is definitely worth the look! There is 2507 sq. ft. of enclosed area, and a total of 8917 sq. ft., which is plenty of room for family and guests! The caged pool is large and the perfect place to enjoy your morning coffee! We are into our busy winter season and I'm looking forward to finding you the perfect property on Sanibel Island or Captiva Island! 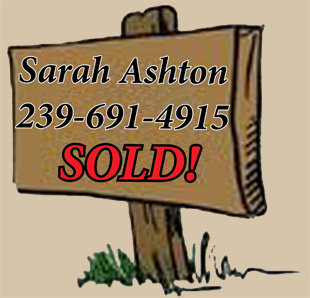 We have lots of great listings available for purchase. Whether it's a residentual home, a condo, a homesite or income producing property, I can find you just what you're looking for! Give me a call TODAY at 239-691-4915!